Better late than never. 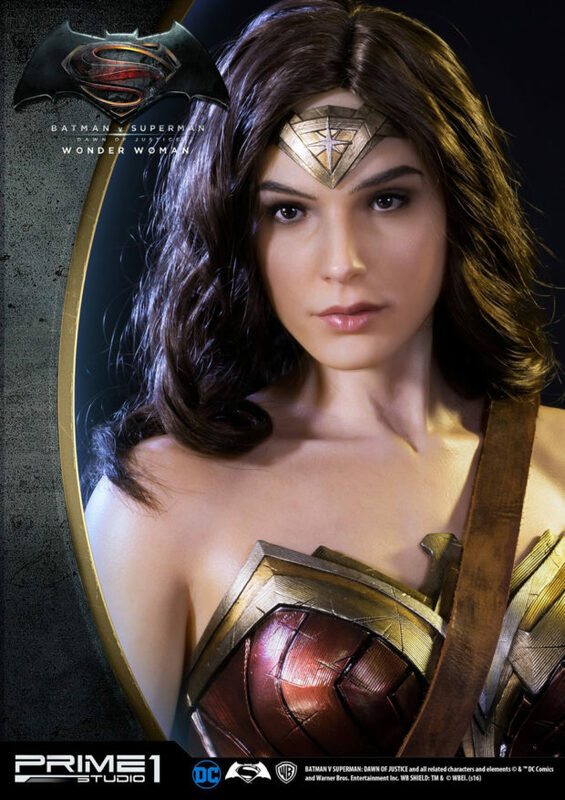 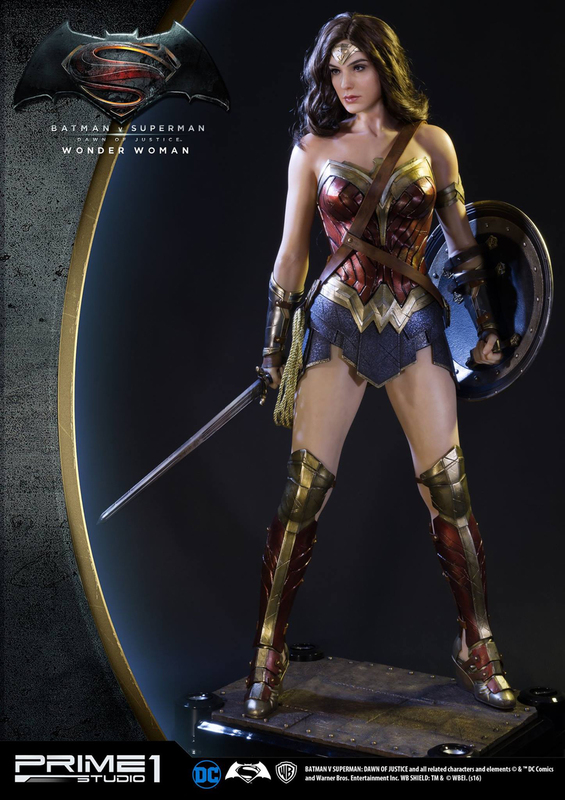 Prime 1 Studio completes the DC trinity with this wicked Batman v Superman: Dawn of Justice Wonder Woman half-scale statue.I think Gal Gadot has sharper facial features than what’s depicted in the statue, but Prime 1 comes close enough. 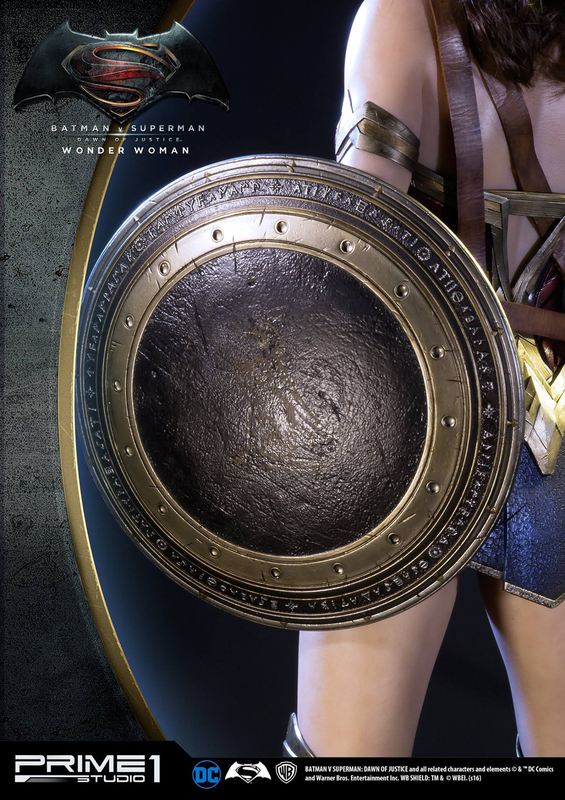 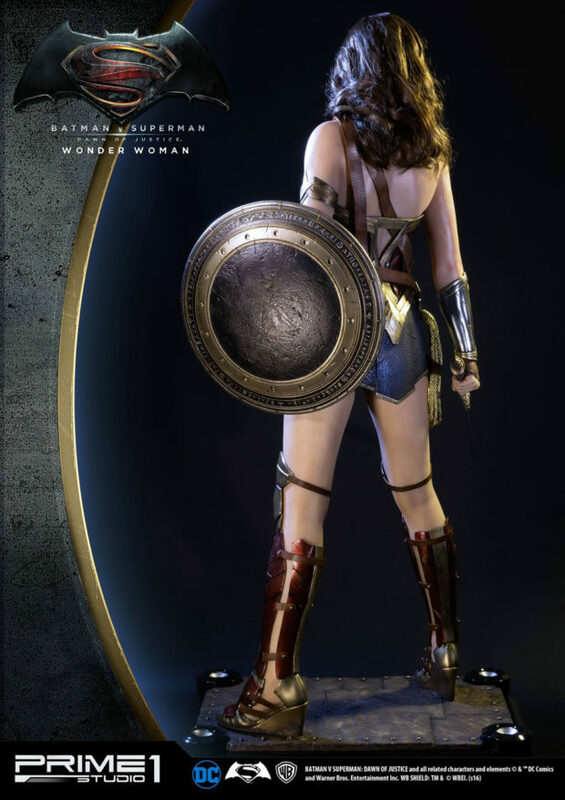 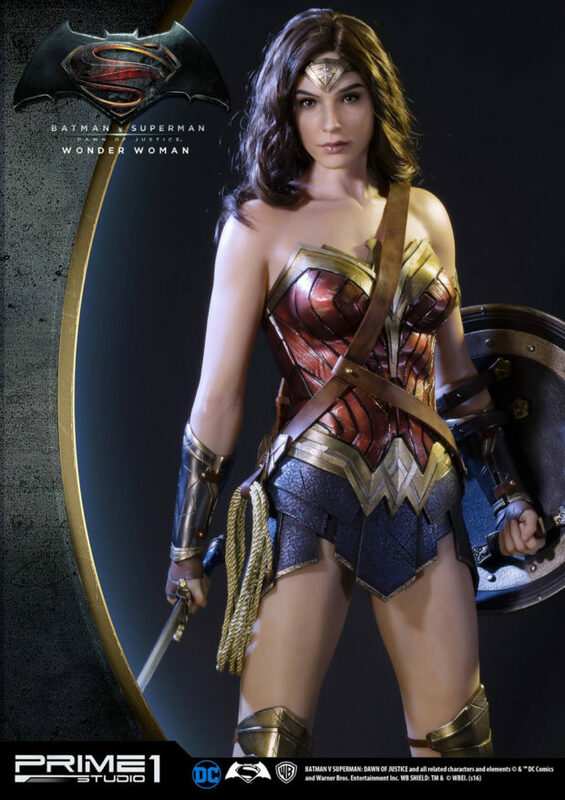 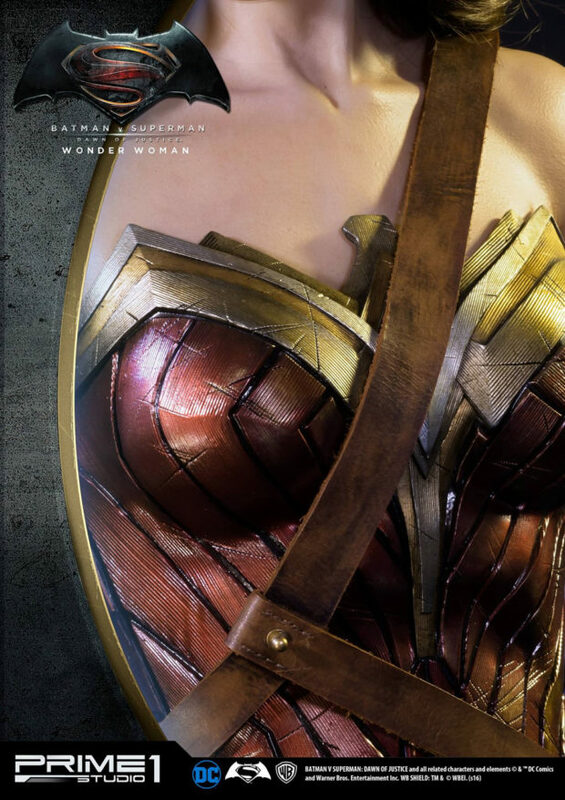 Everything from Diana’s hair, armor and shield is nearly perfect. 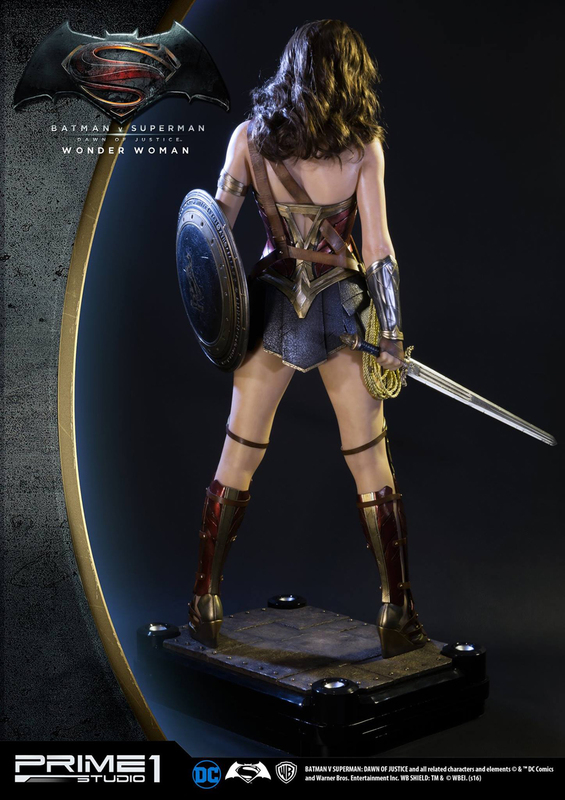 The 40″ statue also comes with two different emblems for its light-up base. 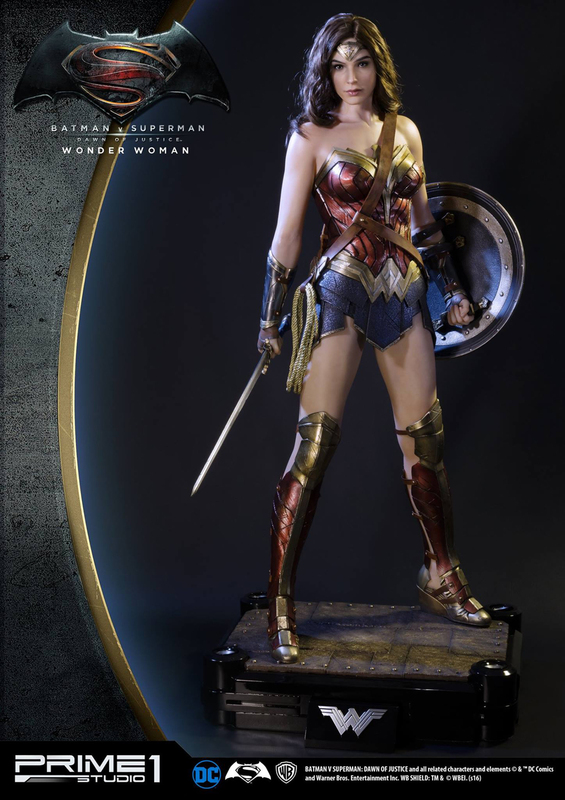 You can pre-order it from Sideshow Collectibles for $2100 (USD).